Grena Biostimulants fro sustainable agriculture. The worldly demographic growth is increasingly focusing on optimization energy resources and food production. GRENA has been promoting for over thirty years a new way of increasing plant production through eco-friendly techniques, especially in the interests of the environment. International research has recently understand that, through organic biostimulants, you can achieve ideal condictions, that meet an ecological desire, even more deep-rooted in the population. Health and well-being are the fruits of what we eat. 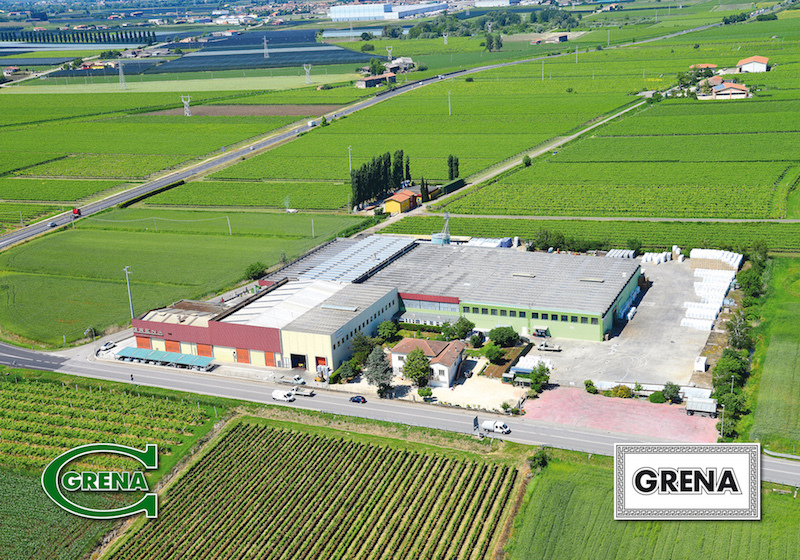 All Grena products are obtained in the same way: organic animal residues of fish, rabbit and poultry are heat treated. The thermal hydrolysis of the proteins is our production's core business and it takes place during the 130° cooking process. Through the thermal hydrolysis of the proteins, naturally contained in large quantities in the organic GRENA matrix, the products obtain amino acids and carboxy groups (EDTA). In parallel, the production of our liquid biostimulant starts here. IDROGRENA is obtained thermal extraction of the humidity contained in the slaughter waste without the addiction of any chemical. The distillation so obtained contains the organic polyamines which were inside the amino acids in the first place.